To download a pdf version of the full 2018 Botswana country profile, click here. 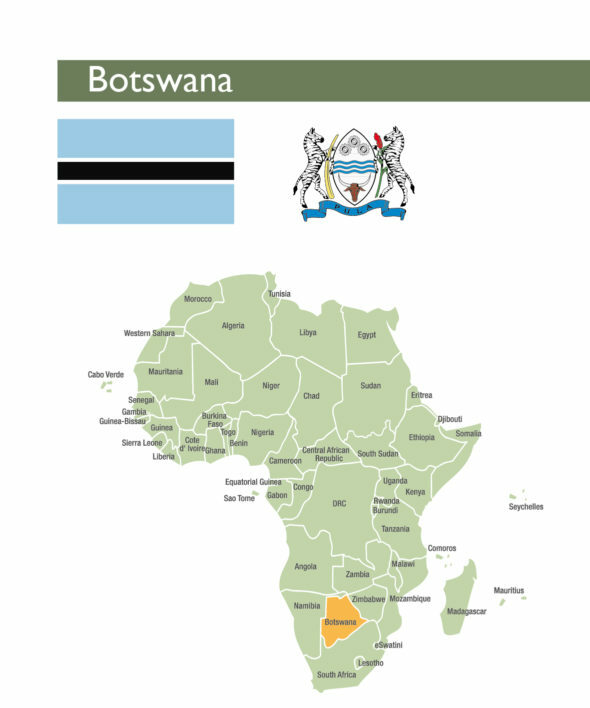 Botswana is a country in Southern Africa, with a population of just over two million people. It mainly depends on mining and natural resources, especially diamonds and tourism.Inflation remained low in 2017, finishing the year at 3.0 percent, which is the lower end of the Bank of Botswana’s inflation objective range of 3.0 to 6.o percent. Two major developments in 2017 were the launch of the Vison 2036, which succeeds Vison 2016, and the launch of the Botswana Sustainable Development Goals (SDGs). Vision 2036 is aligned to the SDGs and both documents aim for a Botswana with decent, affordable housing and economic opportunities for all. Access to finance in Botswana is relatively high by African standards but considered low globally. According to the third FinScope survey undertaken in Botswana in 2014, 68 percent of the population was financially served, using either formal and/or informal products, while 50 percent of the population was formally banked, and 24 percent was financially excluded (not using either formal or informal financial products). Botswana has a large microlending industry, which provides short- to medium-term loans, mostly to those employed in the public sector. 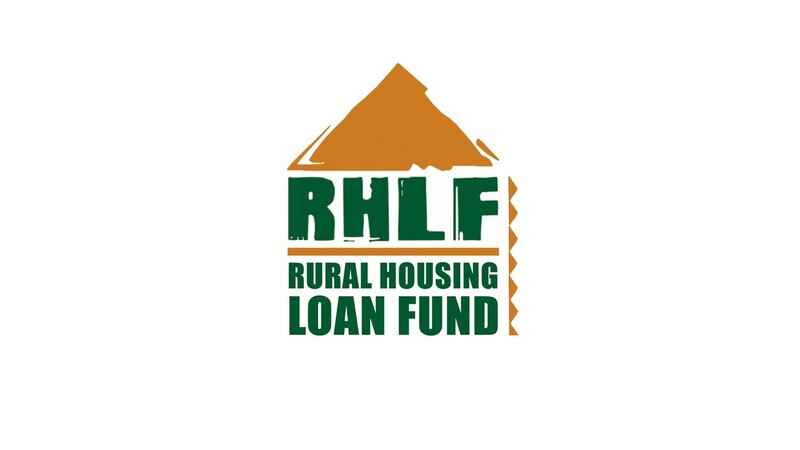 Although there are cases when loans from microlenders have been used to purchase land, such loans have generally been used to finance consumer spending, education expenses and emergencies. Botswana has a large pensions sector, with total assets equivalent to approximately 45 percent of GDP, almost as large as those of the banking sector. Approximately 62 percent of pension fund assets are held offshore. Pension-backed housing loans are legally permissible; however, the industry is rather conservative and in practice does not provide members with housing loans or allow third party loans secured by pensions. Botswana has several policies and acts for land management and administration. The main policies are the National Settlement Policy (1998), the National Policy on Housing (2000), Revised National Policy for Rural Development (2002) and Land Policy (2015). The only recent Act related to land and housing is the Sectional Titles Act (2003), which provides for the division of buildings into sections for the acquisition of separate ownership of building blocks. Botswana has a relatively stable, well-managed economy that has shown significant growth over the past few years. Finance for self-built housing still offers significant prospects for growth, due to this being the preferred method of building, even among the middle and higher income categories. Mortgage lending has been increasing, and while there is limited demand given low income levels, it also has potential for growth, given the introduction of new programmes such as the implementation of SDGs and the eleventh National Development Plan (NDP 11). The state has recognised the need to reform in key areas, such as land administration, and is also meeting the costs of land servicing in many areas.At present, access to subsidised housing is determined by various rationing mechanisms, but there is a need for a more efficient mechanism to deliver targeted housing subsidies. Botswana is a country in Southern Africa, with a population of just over two million people. It mainly depends on mining and natural resources, especially diamonds and tourism. In the past, Botswana has been one of the fastest growing economies in the region. The global financial crisis of 2008/09 had a major impact on diamonds and other exports, leading to a contraction in GDP of 7.7 percent in 2009. However, the economy recovered and grew on average by 6.9 percent a year from 2010-2014. In 2015, the economy contracted by 1.7 percent due to weak diamond sales, but recovered in 2016, recording real growth of 4.3 percent, supported by improvements in diamond sales. The economy is forecast to grow by 4.7 and 5.3 percent in 2017-18 and 2018-19 respectively. Inflation remained low in 2017, finishing the year at 3.0 percent, which is the lower end of the Bank of Botswana’s inflation objective range of 3.0 to 6.o percent. To help boost growth, the bank rate was reduced by 50 basis points in October 2017 from 5.5 percent to 5.0 percent. This is expected to help boost economic growth. Two major developments in 2017 were the launch of the Vison 2036, which succeeds Vison 2016, and the launch of the Botswana Sustainable Development Goals (SDGs). Vision 2036 is aligned to the SDGs and both documents aim for a Botswana with decent, affordable housing and economic opportunities for all. Thus, the implementation of programmes and policies aimed at achieving the objectives of Vision 2036 and SDGs is expected to improve the performance of the property market in Botswana. Botswana is increasingly urbanised, with approximately 65 percent of the population living in settlements officially classified as urban, and almost a quarter living in the greater Gaborone area. Access to finance in Botswana is relatively high by African standards but considered low globally. This is especially so considering the country’s relatively high levels of GDP per capita (US$7 674 in 2017). According to the third FinScope survey undertaken in Botswana in 2014,68 percent of the population was financially served, using either formal and/or informal products, while 50 percent of the population was formally banked, and 24 percent was financially excluded (not using either formal or informal financial products). This notwithstanding, a 2017 study suggests that Botswana is among the African countries with high access to finance. Commercial banks in Botswana are small by international standards. There are 10 commercial banks, namely, Barclays, Standard Chartered, Stanbic, First National Bank, Bank Gaborone, Bank of Baroda, Capital Bank, BancABC, State Bank of India and Bank of India. In addition, there are two other deposit-taking institutions, including a statutory bank, the Botswana Savings Bank (BSB), and the Botswana Building Society (BBS), and a non-deposit taking development finance institution, the National Development Bank (NDB). Most of the banks, as well as BSB, BBS and NDB, offer long-term residential mortgages. The average interest rate on household mortgages from banks is 8.81 percent, and the average down payment required is 10 percent of the value. Mortgages are available for up to 25 years, or up to the age of 60 years. Mortgages are typically provided at an interest rate of prime to prime plus six percent (the prime rate is currently 6.50 percent). Annual growth in commercial bank credit fell from 6.9 percent in 2015 to 5.4 percent in 2016, before falling further to 5.1 percent in 2017, mainly due to a decline in growth of lending to households. As at December 2016, the share of household credit in total private commercial bank credit was 60.1 percent. Bank mortgage lending to households grew by 5.3 percent in 2017, down from 5.5 percent in 2016. There are an estimated 17 000 mortgages from banks in Botswana, with an average size of approximately P750 000 (US$75 000), plus another 5 500 from BBS. The banks have been keen to extend mortgage lending and compete on loan-to-value ratios, sometimes offering more than 100 percent to provide a contribution to property transfer fees and minimise the deposit required from borrowers. On the supply side, growth in loanable funds has been weak in recent years, which suppressed credit growth through tighter lending conditions. The slowdown in mortgage lending appeared to be consistent with other indications for slower growth in incomes. In a sign of slowing growth in the banking sector, the ratio of commercial bank assets to nominal GDP declined from 53 percent in 2015 to 48 percent in 2016, and declined further to 46.3 percent in 2017. Government assists Botswana citizens to purchase or develop properties by guaranteeing 25 percent of each mortgage delivered through the BBS. In addition, government employees can obtain housing loans from BSB. Botswana has a large microlending industry, which provides short- to medium-term loans, mostly to those employed in the public sector. Although there are cases when loans from microlenders have been used to purchase land, such loans have generally been used to finance consumer spending, education expenses and emergencies. The largest microlender is Letshego, which has expanded from its Botswana base to 10 other African countries. There is no specialised housing microfinance. However, Letshego has a dedicated housing finance scheme, in collaboration with Debswana, a major mining company, which offers loans from P80 000 (US$7 804) upwards, repayable over 10 years at an interest rate of 17 percent. FinMark Trust released the results of its third FinScope Consumer Botswana 2014 survey results on 14 July 2015. The FinScope Survey, developed by FinMark Trust, is a research tool to assess financial access in a country and to identify the constraints that prevent financial service providers from reaching the financially under- and unserved people. Twenty percent of adults in Botswana do not earn an income, while another third earn less than P500 (US$48.7) a month.Approximately half of urban households (49 percent) have only one income earner; in 28 percent of households there are two income earners, and in 15 percent there are three or more income earners. Approximately eight percent of urban households and 13 percent of rural households have no income earners. The most recent nationwide household income and expenditure survey, carried out in 2009/10, showed that approximately 50 percent of households then had a monthly consumption expenditure of P1 600 (at that time, approximately US$240) or less. Using a benchmark that housing costs should not exceed 40 percent of household income, and updating these survey results to reflect growth and inflation to 2017, an average household can afford to spend approximately P1 067 (US$104) a month on housing – meaning that half of all households can afford less than this. Even if formal mortgages were available to such households, there is no affordable property that is available to them – or at least not property that would be acceptable security to mortgage lending institutions. Mortgages from banks and other formal financial institutions would only be relevant to the top 25 percent of the income distribution. Banks also prefer to finance the purchase of ready-built structures rather than providing loans for housing construction. Housing affordability for households in the lower 50 percent of the income distribution is a major challenge in Botswana. Such households cannot afford a modern, completed house, even at the lower end of the market, and hence are restricted to informal or semi-formal, incremental housing. Hence government support for low income housing is a crucial issue, and various forms of subsidies are provided. These include the Home Improvement Loan, Turnkey Housing, the Integrated Poverty Alleviation and Housing programme, the Public Officers Housing Initiative (POHI), the Instalment Purchase Scheme (IPSTenant Purchase Scheme) and Youth Housing (all under the Ministry of Infrastructure and Housing (MIH). In addition, the Self-Help Housing Agency (Ministry of Local Government) provides subsidised serviced plots. Of particular interest is the Youth Housing Scheme which provides high-density and multi-residential units for the youth and first-time homeowners earning between P3 000 (US$292) and P7 000 (US$487). The first 750 units are currently being constructed in Gaborone. Home improvement loans are available to low to moderate income households (those earning between P367 (US$35.7) and P4 300 (US$419) a month), up to a value of P60 000 (US$5 850), repayable over 20 years at P250 (US$24.2) a month, interest free. Repayment on this loan has not been good, however, and the capacity to enforce repayment is limited. 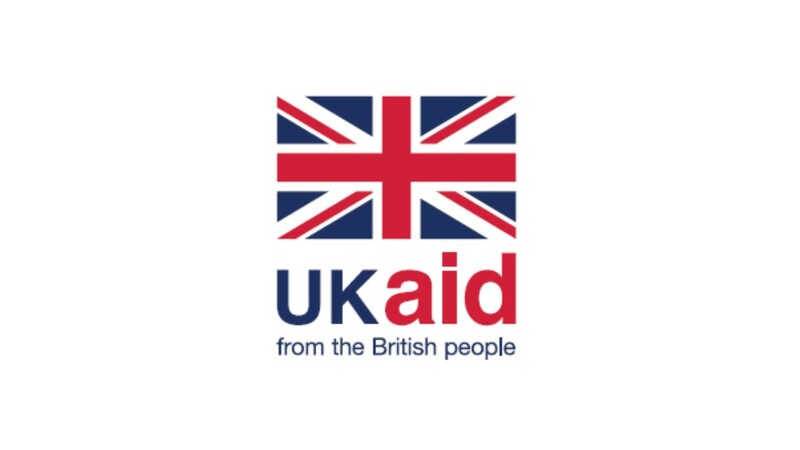 Given the high level of subsidy entailed, demand is high, and supply is limited by the availability of funding (approximately 1 000 loans are available each year). Government also provides housing through the turnkey scheme. The standard dwelling is a “two and a half” house, comprising two rooms (bedroom/living room), toilet/bathroom and a cooking area, including basic electrical fittings and running water. Beneficiaries receive an interest-free loan of P90 000 (US$8 780.5), repayable at P375 (US$36.5) a month over a period of 20 years. The houses are constructed by the government-owned Botswana Housing Corporation (BHC) at a cost to government of P123 000 (US$12 000). Income qualification criteria are the same as for the home improvement loan, and applicants should already own a residential plot. The initial subsidy of P33 000 (US$3 219) plus the interest free nature of the loan means that the effective subsidy rate is very high. The number of turnkey housing loans provided by government is limited to approximately 1 000 a year countrywide, and the waiting list is currently 4 452. There are calls to increase the value of this facility, in part due to increases in construction costs. Under the Integrated Poverty Alleviation and Housing Programme, low income households are assisted to establish brick making projects and can use the money earned and skills learnt from these projects to construct their own houses. Other initiatives to provide housing for low income households include the Destitute Housing Programme and the President’s Housing Appeal. These initiatives are all targeted at remote area communities or settlements. 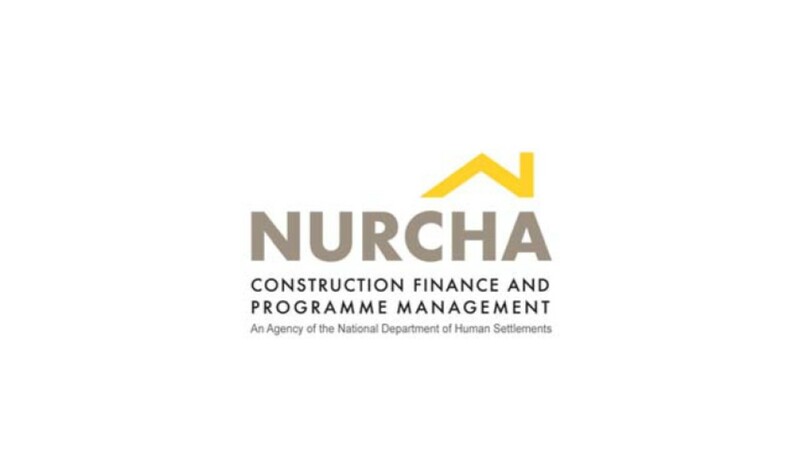 The MIH has commissioned a national housing needs assessment to guide future housing provision and policy, which was expected to be completed before the end of 2017. The results of this assessment are yet to be made public. Mutsonziwa, K, Motsomi A, and Khumalo J (2015). According to the 2011 Population and Housing Census, traditional housing units decreased from 64 percent to 13 percent of the total between 1991 and 2011. Most Batswana traditionally maintained three residences – in a village/city/town, at the “lands” (for arable agriculture) and at the cattle post; however, the core residence is in the villages or cities/towns. The type of housing structure is even changing at the lands and cattle post, mostly because of the durability of the materials used for a modern house. According to the Population and Housing Census there were 550 846 housing units in Botswana in 2011. Out of these, 357 567 were in urban areas and 193 379 in rural areas. The average household size in Botswana has been declining over the years, from 5.5 in 1981 to 3.7 in 2011; many are single member households (27.8 percent). The BHC, established in 1971, is the primary housing developer in Botswana. Historically it provided for the housing needs of government, local authorities and the general public by providing rental housing, although in recent years it has also been offering houses for sale. BHC has a large estate of flats and town houses, with a mix of high, medium and low income houses spread throughout the country, with concentrations in Gaborone and Francistown. BHC’s smallest housing product is a 58m2 house on a plot of 400m² or larger. Such a house would typically be priced from P600 000 (US$58 422) upwards. BHC suggests that the minimum mortgage instalment for such a house is P5 500 (US$536), which means that a household would have to earn at least P13 750 (approximately US$1 317) a month for this to be affordable – which would imply a household in the top 10 percent of the national income distribution. The rentals charged by BHC for tenanted accommodation are subsidised – as a matter of government policy – but even so, BHC properties are still more suited to the formally employed than low income households. In April 2012, the BHC’s mandate was expanded to operate as government’s single housing authority. As a result, BHC is now also responsible for the construction of turnkey housing units and is in charge of implementing the POHI, the IPS and Youth Housing. In 2017, a total of 1 924 houses were started by BHC and 1 889 delivered. The highest number of houses delivered was turnkey houses at 1 376 houses followed by POHI at 177. About 372 IPS houses were started in 2016, however, they have not been delivered. The IPS targets the youth and middle income groups with monthly incomes of P3 000 (US$292.5) to P7 000 (US$682.5). Besides the BHC, few private sector developers are providing housing for sale. Indicative prices are that building costs for a 60m2house would be between P4 000 and P5 000 a m2 (US$390-US$487), with a total cost of P240 000-P300 000 (US$23 414-US$29 268). The cost of land servicing (providing basic roads, water, electricity and water-borne sewerage connections) varies by location, but is typically in the range of P200-P300 (US$19.5-US$29.3) a m2. However, housing provision by private developers is typically aimed at upper middle and high income households, with incomes of P10 000 (US$975) a month or more. Homeownership is important to Batswana, and the 2011 Census data shows that 57 percent of housing units were owner-occupied. Most of the remainder were rented privately, but approximately a quarter of rented accommodation was provided by government or its agencies. Land tenure in Botswana is divided into three types: (i) freehold; (ii) state land; and (iii) tribal land. Freehold land can be freely bought and sold (although with some restrictions on the purchase of freehold agricultural land by non-citizens). While state land and tribal land cannot be bought and sold, leasehold tenure is available. State land leases are freely marketable, while tribal land leases are generally only available to citizens. Every Botswana citizen is entitled to a residential plot on tribal land. Such plots are available either free (for unserviced land) or at a heavily subsidised price (for serviced land); for instance, a serviced Self Help Housing Agencyplot in urban areas is sold for P15-P22 a m2, compared to a servicing cost of approximately P350 a m2. In addition, citizens are entitled to free land for agricultural purposes. This system means that there are very few, if any, landless Batswana. However, not all land is equal, and there is excess demand for subsidised residential plots in or around urban areas, especially close to Gaborone, whereas residential plots are readily available in smaller and more distant villages. Tribal Land is administered by statutory Land Boards. The (theoretical) availability of subsidised land means there are long waiting lists for tribal plots in peri-urban areas. However, this does not necessarily represent genuine demand for housing plots, rather the fact that those who are lucky enough to obtain such plots can re-sell them at a substantial profit. In fact, many of land applications are for speculative purposes, where plots are sold once an allocation is made. In addition to the BHC, there are also private developers, the biggest being Premier Properties, Universal Estates, Sheldon Properties and Time Projects. For example, Time Projects reports that the company purchased 55ha of land in the early 1990s in the south of Gaberone and designed the residential suburb known as Kgale View thereon.The project was completed within budget and substantially ahead of schedule. Time Projects installed the infrastructure for 800 plots and the constructed 400 houses purchased by government. Private sector housing was later developed on the remaining 400 plots. The contribution of private developers to the supply of housing in Botswana is summarised by a2013 study by University of Pretoria scholars, which concludes that the performance of private developers has been generally good with annual turnover of those companies interviewed averaging between P5 million(US$47 000) and P10 million (US$98 000). Kachepa S, Pienar J, and Boshoff D (2013). “Urban Housing Provision In Botswana: A Critical Analysis of Gaborone”, 2nd Virtual International Conference on Advanced Research in Scientific Fields, University of Pretoria. Most residential property is built for owner occupation. However, residential property has also been seen as a good investment by both commercial investors and individuals. There is a significant build-to-let market, extending from high cost (upmarket) housing down to small, low cost, one-room accommodation for individuals. Commercial investors provide only upmarket accommodation, whereas individuals operate across the entire spectrum. High rates of rural-urban migration and rising urbanisation have fuelled the demand for rented accommodation. Buying and selling property is still relatively unusual. According to the 2009/10 Botswana Core Welfare Indicators Survey, 50 percent of households lived in self-built accommodation, while 42.5 percent lived in rental or institutional accommodation. Only 3.3 percent of households lived in a house that they had bought. The small number of residential mortgages – approximately 17 000 in 2016, out of approximately 500 000 households in the country – reflects the limited size of the formal property market. Secondary property markets are limited by the shortage of stock that can be mortgaged, a preference for self-built accommodation (which sometimes is not of an adequate standard to be mortgaged), as well as more generally by slowing economic growth and the high rate of unemployment. At present there is no comprehensive nationwide land and property registry. In an effort to increase tenure security and support enhanced access to mortgage finance, the government is implementing a nationwide land registration system, the Land Administration Procedures Capacity and Systems, to improve information on land and property ownership. All plots in tribal land have been surveyed and data capturing is ongoing. Different land boards nationwide are at different stages of completing data capture. Several reforms have taken place to improve the land administration system. In the 2017 Doing Business review, Botswana improved in getting construction permits, which had previously been subject to lengthy processes and delays. 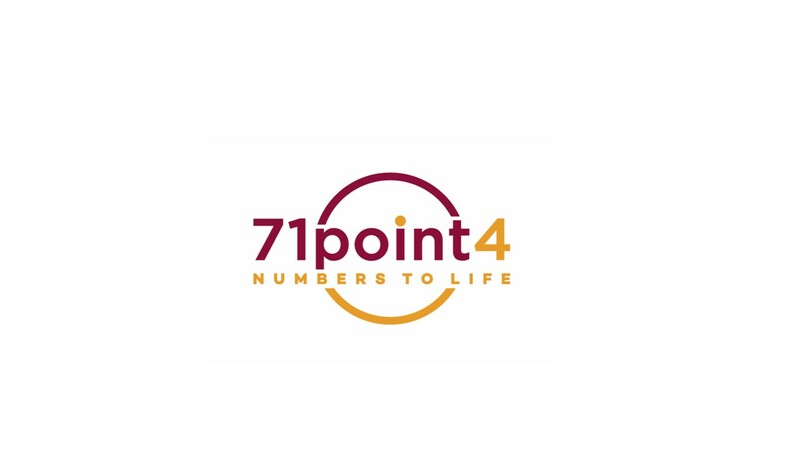 It’s Distance to Frontier improved by 0.7 points from 72.20 in 2017 to 72.27 in 2018. The adoption of the 2015 Land Policy also helped with land transfers and conversion from tribal to common law land as required for mortgage lending. The principle of “one person one plot” was revived, to improve the distribution of land ownership. This meant an individual is only entitled to be allocated a plot once by the land boards on tribal land (although they can purchase additional land on the open market). Botswana has a relatively stable, well-managed economy that has shown significant growth over the past few years. Finance for self-built housing still offers significant prospects for growth, due to this being the preferred method of building, even among the middle and higher income categories. Mortgage lending has been increasing, and while there is limited demand given low income levels, it also has potential for growth, given the introduction of new programmes such as the implementation of SDGs and the eleventh National Development Plan (NDP 11). Interest rates are low by historical standards, which assists with access to mortgages. However, most households will never be able to access conventional mortgage finance, and there is potential to explore and develop microfinance opportunities. In addition, the implementation of the NDP 11, SDGs, Vision 2036 and the performance of private developers also provide impetus for broader economic growth and that of the housing sector. The state has recognised the need to reform in key areas, such as land administration, and is also meeting the costs of land servicing in many areas. There is demand for student accommodation and low cost housing in urban areas due to the high levels of urbanisation. However, the overriding issue will continue to be affordability; most households are not able to afford formal housing and are unattractive customers for formal financial institutions. Hence, the majority of low income housing is incremental, self-built or informally built, and is contingent on access to free unserviced land or subsidised serviced land. In this situation, the demands on government to provide housing subsidies in one form or another are high, and potentially very expensive, and hence need to be provided on a rational, analytically sound basis. At present, access to subsidised housing is determined by various rationing mechanisms, but there is a need for a more efficient mechanism to deliver targeted housing subsidies. Babajide Fowowe (2017). Access to Finance and Firm Performance: Evidence from African Countries, Review of Development Finance, Volume 7, Issue 1, June 2017. Pgs. 6-17. https://www.sciencedirect.com/science/article/pii/S1879933717300106(Accessed 20 Aug 2018). Bank of Botswana (2016). Annual Report. Bank of Botswana. Bank of Botswana (2018). Botswana Financial Statistics. http://www.bankofbotswana.bw/assets/uploaded/BFS%20JUNE%202018%20WEBPAGE_1.xls(Accessed 12 July 2018). Botswana Housing Corporation (2017). Annual Report. http://www.bhc.bw/sites/default/files/BHC%20Annual%20Report_2017%20%28web%29.pdf(Accessed 16 August 2018). Econsult Botswana Economic Review (2015). “Housing Finance in Botswana”. http://housingfinanceafrica.org/app/uploads/Econsult-Review-2015-2nd-quarter-final.pdf(Accessed 10 July 2018). Government of Botswana (2015). Botswana Land Policy 2015. Government Printers. Government of Botswana (2016). Vision 2036- Achieving Prosperity for All. Government Printers. Government of Botswana (2016). National Development Plan 11 (April 2017 –March 2023). Government Printers. Mutsonziwa, K, Motsomi A, and Khumalo J. (2014). “FinScope Consumer Survey Botswana 2014.” http://www.finmark.org.za/wp-content/uploads/2015/07/Brochure_FS_Botswana_2014_Consumer1.pdf (Accessed 10 July 2018). Non-Bank Financial Institutions Regulatory Authority. (2017). Annual Report. https://www.nbfira.org.bw/annual-report-2017-0(Accessed 11 July 2018). Statistics Botswana (2011). 2011 Population and Housing Census. 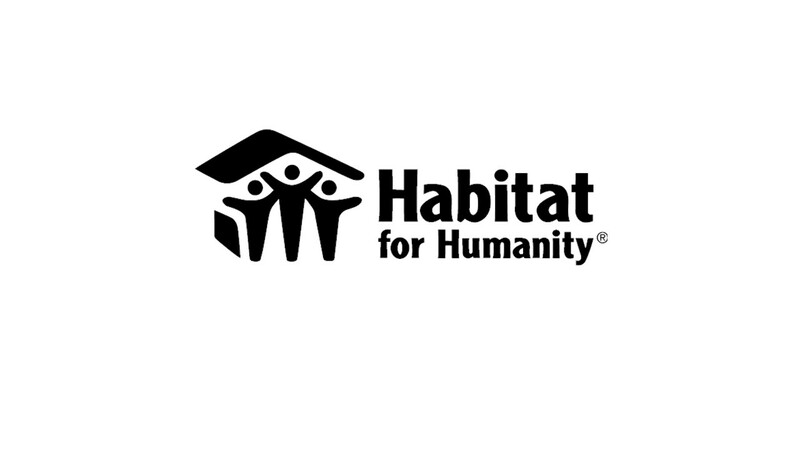 http://www.statsbots.org.bw/sites/default/files/2011%20Population%20and%20Housing%20Census%20%28Results%29.pdf(Accessed 10 July 2018).